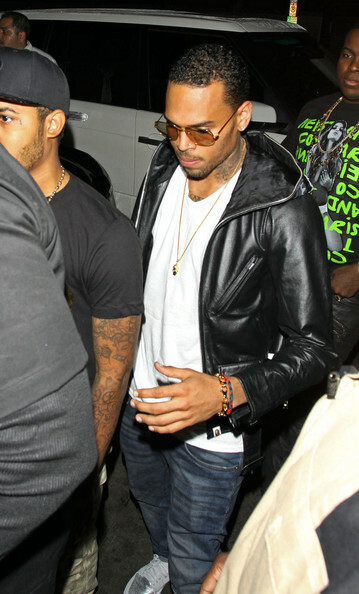 Chris Brown appears in court for a probation progress report hearing on September 24, 2013 in Los Angeles, California. 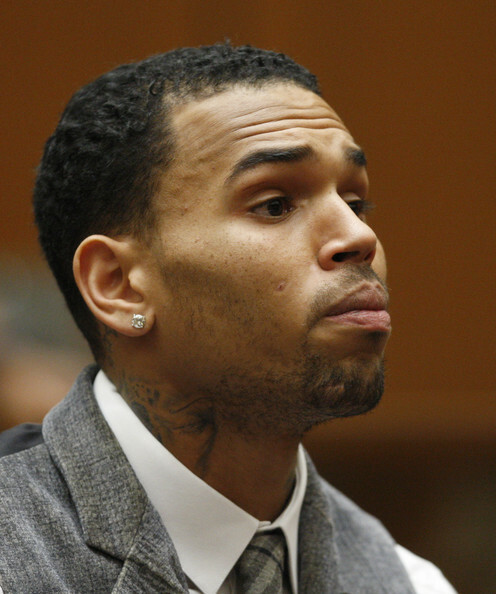 *Chris Brown has logged more than 1,400 hours of community service for the 2009 beating of former girlfriend Rihanna, basically completing his sentence, according to The Associated Press. The AP has learned one-third of those hours were recorded at a rural Virginia daycare center where the singer spent time as a child and his mother once served as director. And in the last seven months, an AP analysis of the work records indicates Brown’s labor credits increased by four times from what they had been during the previous two years. Yet through it all, Brown hasn’t stopped being an R&B superstar, performing worldwide, releasing an album and even getting injured in a nightclub brawl. No specific concerns were detailed by the court, yet the AP analysis of Brown’s service shows that in the past seven months, the artist has been credited for working 701 hours — a feat that previously took him 28 months to achieve, clocking sporadic, shorter shifts mostly at Richmond police and fire stations. Ida Minter, the administrator of the Tappahannock Children’s Center, said Brown attended the nonprofit facility “off and on” for more than 12 years and his mother was employed there for 24 years, including as director. Brown’s community service at the center began in January 2010, but work entries dramatically increased in March of this year. Most of his shifts were logged between 6 p.m. and 2 a.m. and were typically listed as “general cleaning,” with some entries describing him painting or stripping and waxing floors. It is unclear who supervised him. Brown’s attorney Mark Geragos said Monday that he welcomed inquiries from Los Angeles probation officials and said he urged Brown to work double shifts so the lawyer wouldn’t have to keep coming back to court. Minter described Brown’s work at the daycare center favorably. Minter said Brown was always accompanied by someone while working at the center, but she said she couldn’t discuss who it was. The singer, who pleaded guilty to felony assault in June 2009, only worked at night and on weekends when no children were present, Minter said. That is supported by the logs, which also showed that Brown only worked one other weekend shift that wasn’t at the daycare center. Brown has been undeniably busy in recent months, releasing his new album “Fortune,” traveling to France for a video shoot, winning a Grammy Award, performing at other award shows and resuming his friendship and music collaboration with Rihanna. March was similarly busy, with Brown being credited for work on 20 of the month’s 30 days; he was approved to travel to Cancun, Mexico, for five of the remaining days. Before this week, Brown had received praise from Schnegg and had never been in danger of violating his probation. But that could change if the inquiry the judge ordered turns up irregularities with the singer’s service. Schnegg allowed Brown to perform his work in his home state of Virginia under the supervision of Norwood, but on Monday noted there are discrepancies in the chief’s accounting. For one, Brown’s work log shows he has put in 1,402 hours, but a couple of errors in the data may push the total up to 1,404. And although Brown was sentenced to perform 1,440 hours of labor, the chief wrote in a letter dated Sept. 14 that Brown had completed all his service hours. Norwood’s spokesman declined to respond to questions from the AP on the discrepancies. “Chief Norwood has reported directly to the judge, providing periodic updates regarding the progress of Chris Brown’s community service,” spokesman Gene Lepley said. District Attorney’s spokeswoman Sandi Gibbons said the office would make all its comments on the case in court. The judge and prosecution aren’t the only ones concerned about the administration of Brown’s sentence. In August, Virginia probation authorities recommended that Richmond police stop supervising Brown after the singer tested positive for marijuana and what they believed was unapproved travel to France. However, they made no critical comments about his community service. Geragos, Brown’s attorney, declined comment for this story, but he said at Monday’s court hearing that he believes his client has completed all his community service. 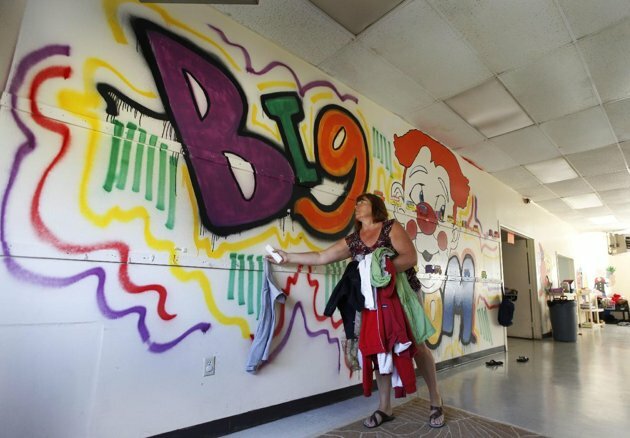 Brown’s labors have left a lasting mark at the Tappahannock Children’s Center: a colorful wall mural featuring a huge clown face and splashes of purple, orange, green and yellow. The words “Big Room” — the informal name of the large space amid a warren of smaller classrooms — is painted in fat letters along a wall where jackets are hung on hooks.